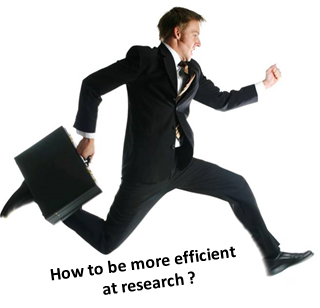 Today, I will discuss 10 ways of becoming more efficient at doing research. This is an important topic for any researcher who wishes to be more productive in terms of research. For example, one may want to be able to publish more research papers and be involved in more projects without decreasing the overall quality of the papers/projects. Prioritize your tasks. Since there are only 24 hours in a day, to be more efficient, it is important to better manage the time to do what is the most important first. Select your tasks. Moreover, one choose to do tasks that provide the greatest reward and not do what is unimportant and provide a small reward. Thus, it is better to wisely choose the research projects that are the most promising and require less time to complete, or that require more time but can provide a greater reward (such as publishing in a top journal). Besides, when doing a research project, it is important to think about the benefit that each hour/day of work will provide as a reward. For example, if you are designing a software but have to work one week to add a feature, then you should ask yourself if adding that feature is worth that time or if adding some other alternative features will provide a greater reward. If the feature is not really important, then you should perhaps not add the feature and focus on something else that is more important to improve your research project. Ask other people to participate to your projects. If one works by himself, he will be limited by his time and ability. But if one invites other researchers to their project, he can delegate tasks to other people such as writing, programming and carrying experiments. Thus, the project may be completed faster and the quality may also be improved by having the opinion and using the special skills of other people. Participate to other people’s projects. It is also important to participate to the projects of other researchers. This helps to increase the global number of papers and projects that one can do and open also other opportunities (recommendation letter, invitation to give a talk, invitation to participate in a committee, etc.). Write down your ideas. Many people have difficulty to find ideas for research projects. However, everybody has ideas everyday but often forget them because they don’t take notes. The solution is to take notes in a file or notebook every time that you have an idea. I personally do this all the time. For example, if I read some papers and think about some opportunity for a new project, I will write it down in my notebook of ideas. Then, when it is time to start a new project, I will look at my list of ideas and choose something as the basis for a new project. 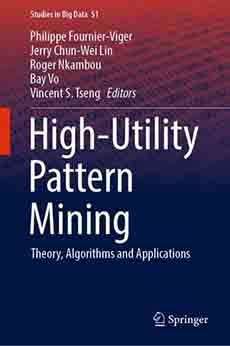 This greatly helps to find good new research topics. Having a healthy lifestyle. This is quite obvious but many people do not pay attention to this. It is important to eat well, do exercise, as well as sleeping enough and having a regular schedule. It is easy to think that sleeping less is useful but in the end there is never any benefit to doing this as the body will need to sleep more the following day, and being tired the following day will decrease the productivity. Thus, it is better to manage the time properly to finish projects before deadlines and avoid sleeping very late to finish projects. Avoid sources of distractions and work in a suitable location. It is often tempting to do something else while working such as listening to music or watching TV, or to work in a non optimal environment such as working while laying in the bed or on the couch. However, this can greatly decrease productivity and in some case barely any work is done. For example, I can rarely work well while listening to music except when doing some repetitive tasks or sometimes when programming. Another source of distraction may be instant messages and other forms of events that can interrupt your work. Also, it is useful to keep the workplace clean and ordered to help you focus on your task. Take some breaks. After working for a long time, it is good to take a break, go for a walk, and then come back to work later more efficiently. Moreover, one can take advantage of the breaks to focus on the distractions such as taking phone calls and answering instant messages that were ignored when working. For example, it is a good habit to go for a short walk after working for a 1 or 2 hours. And during that time, it is possible to think about the problem to be solved or just have a rest. Sometimes thinking about a problem without being in front of the computer (e.g. while walking) can bring some new ideas. Keep meeting short and focused. It is tempting to do meetings every week or to have very long meetings. In my opinion, it is better to do the meetings only when necessary and to keep them focused on what is really important, and take notes. Meetings can consume a lot of time. Set some goals and rewards. Another way of increasing efficiency is to set some clear goals and deadlines to put pressure on yourself to finish these tasks on time. Moreover, you can also set some rewards that you will give to yourself after completing a task. For example, one can say that after finishing a certain task at a given deadline, he may go to see a movie as a reward. Hope that you have enjoyed this blog post. If so, there are many other topics on this blog that you may be interested in! So please keep reading 🙂 Also, please leave comments below if you have other suggestions or want to share your experience about how to do research efficiently.